Domtar is a leading provider of a wide variety of fiber-based products. We have been fortunate to partner with this diverse company on multiple projects, including promotional items, ad campaigns and marketing materials. 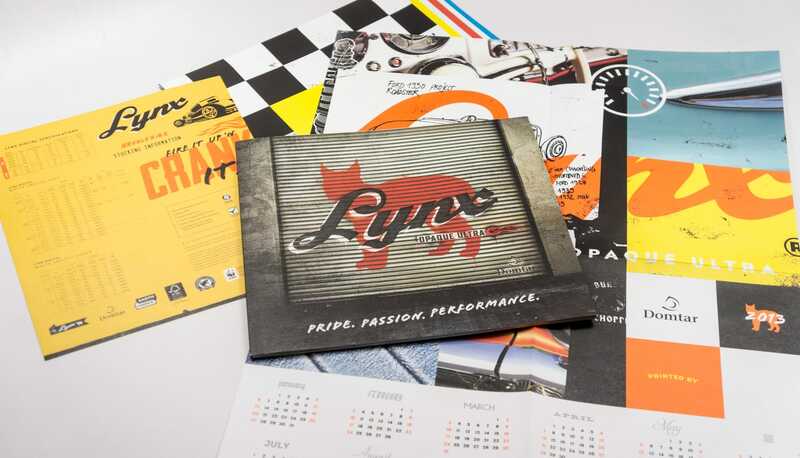 In the third installment of the Lynx series, Domtar and Caliber focused on pride, passion, and performance. We adapted the language of custom automobiles and the culture surrounding them. One notable difference in this year’s promo is that the production notes take form of a condensed car manual, walking the reader through every spread by explaining how various effects are achieved and what details to look for. The brochure was sent out in an eyecatching checkerboard envelope and included a calendar poster. Journey is the 2nd installment in a 4 part series from Domtar; inviting designers and general paper users alike to envision the creative process as a journey. The book features many printing techniques, including a spot silver cover with die cuts, a registered emboss and a clear foil stamp. Within the book, foil stamping, french folded section breaks, and different varnish techniques are used in creative ways to accentuate the design. The imagery is a mix of modern photography coupled with historic star maps and etchings of constellations. 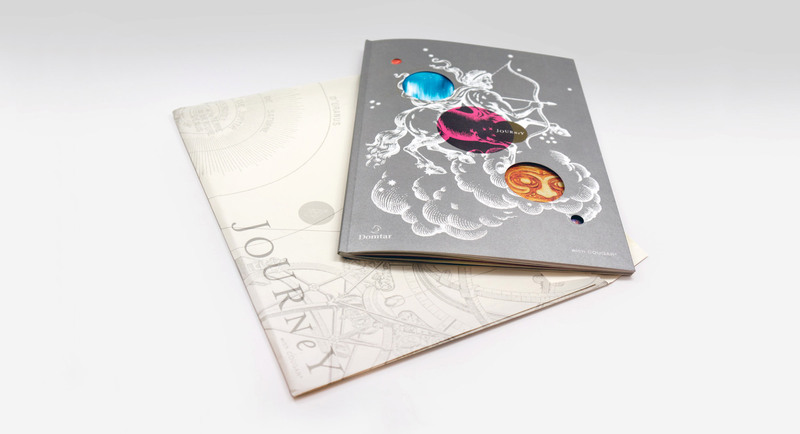 The result is a visually stunning piece that showcases the endless printing capabilities of Domtar paper.